In an over two hour Monday afternoon briefing, the Joint Committee on Federal Relations heard from state residents and representatives of both the federal and state government regarding the results of the 35-day partial federal government shutdown. Highlighting the consequences faced by impacted workers as well as potential strain on essential services, the briefing was wide-ranging and sought to provide lawmakers with a greater sense of the cost of the shutdown to the citizens of Maryland along with potential state remedies to boost recovery. Brown also worried about the impact on passenger safety in his presentation. 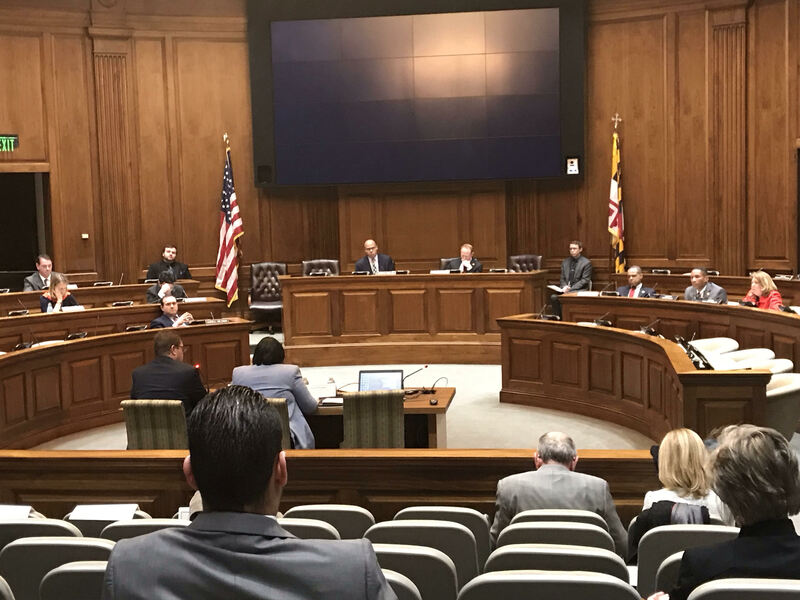 In response to a question from Senator Jim Rosapepe (District 21 – Prince George’s and Anne Arundel) regarding employment options for security agents outside of the federal government, Brown detailed that ten officers quit during the course of the shutdown. “Many good workers could be lost,” he followed. In addition to both Brown and Cardin, the briefing included representatives from multiple state agencies including Secretary James Rzepkowski (the Acting Secretary of the Department of Labor Licensing and Regulation), Assistant Secretary Dayne Freeman (the Assistant Secretary of the Department of Labor, Licensing, and Regulation for the Division of Unemployment Insurance), Karen Straughn (Director of the Mediation Unit of the Office of the Attorney General, Consumer Protection Division), Deputy Secretary Randy Walters (Deputy Secretary for Programs of the Department of Human Services), Netsanet Kibret (Executive Director of the Family Investment Administration) and Administrator Christine Nizer (Administrator of the Maryland Motor Vehicle Administration). 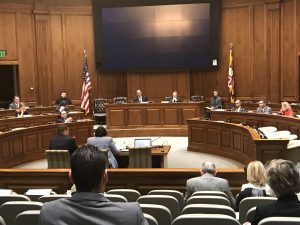 As the home to the fifth-largest number of federal employees in the United States, Maryland clearly faces unique challenges and a budgetary impact unlike that of many other states. While estimates from the Congressional Budget Office indicate that the shutdown cost the United States economy over $11 billion dollars. Maryland’s Bureau of Revenue Estimates of the Office of the Comptroller believe that bi-weekly impacts of the shutdown to Maryland were $778 million in lost employee wages, along with $57.5 million in lost income tax revenue and $2.1 million in lost sales tax revenue. The panel was left with a somber tone as uncertainty looms over the possibility of another federal government shutdown at the expiration of the current three-week deal between President Trump and Congressional leaders on February 15th.